Our customers reach for the stars—and make it. Get an inside look at what makes these online businesses successful. Learn how companies like yours use Shippo to streamline their shipping and grow their business. Greenbelly Meals provide non-cook, ultra-lightweight, nutritious backpacking meals. Greenbelly uses Shippo to create labels for all orders, including website and wholesale orders. Anomalie offers brides an opportunity to make their own custom weddings dress online for a fraction of the price they would pay at a bridal dress boutique. They use Shippo to foster a positive customer experience for their Brides. With a thriving retail and Etsy presence, in 2016, Jennifer and Andy decided to build an e-commerce site of their own. They needed a shipping solution that worked across multiple channels to aggregate all orders in one place. 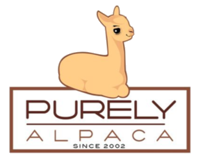 As a wholesale and direct retailer of alpaca products, Brian has grown his e-commerce business by more than 100 percent YOY. He relies on Shippo to speed up his shipping process. Byrd Cookie Company makes cookies, treats, snacks, and many specialty and gift items. They sell their sweets online, in catalogs, in their brick-and-mortar locations, and via wholesale orders. VNYL is a curated and personalized vinyl record subscription service. They pride themselves on being the go-to source for passionate music fans looking for an immersive listening experience. BonLook designs, manufactures, and ships prescription eyeglasses right to your door. They cut out the middleman and heavy distribution structures most eyewear brands have to bring beautiful frames to customers at a fraction of the cost. 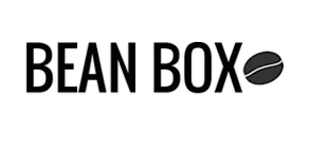 Bean Box partners with Seattle's top independent coffee roasters to curate and deliver the highest quality, freshly-roasted coffee in a subscription-based box. We turned the spotlight on some of our customers making it in e-commerce. Here are their stories. “Leaving the corporate world after 14 years can be scary. But it’s the best decision I’ve ever made,” said Grace Lee, founder of Birdy Grey. Today, Bean Box ships literally tons (75+ tons in 2018) of coffee across the U.S. annually. But as a founder, Matt’s luck wasn’t always so bountiful. Ashley graduated from Y Combinator’s accelerator program in June 2015. Her startup, Gemnote, offers companies thoughtfully-curated products. Nick runs VNYL, a monthly subscription-based record service that stays true to the trusted relationship between the record store clerk and the listener. There’s no place like home. It’s the inspiration behind The Buttermilk Company, a home-style Indian instant meal service founded by Mitra Raman. Luckyleo Dancewear is a dance apparel company founded in 2015 by Karen Saari and her two daughters, Chelsea Early and Heather Walker. As owner and chief baker of Grey Ghost Bakery, Katherine has always had a love for baking. Today, her products are sold in more than 200 retail locations. Steven Ou has been quietly tackling technical challenges since he was 12. That’s when he started programming — years before he founded Touch of Modern. The biggest takeaway from graduating college during one of the United States’ greatest economic downturns, is that it can be a blessing or a curse.